China Labor Watch is reporting that another Foxconn strike broke out on Friday at the Zhengzhou factory in China. The report says 3,000 to 4,000 Foxconn (2038) are complaining about Apple’s (AAPL) demanding quality standards for the iPhone 5. China Labor Watch further reports that workers are under immense pressure to deliver iPhone 5′s without receiving adequate training on how to improve yield rates. 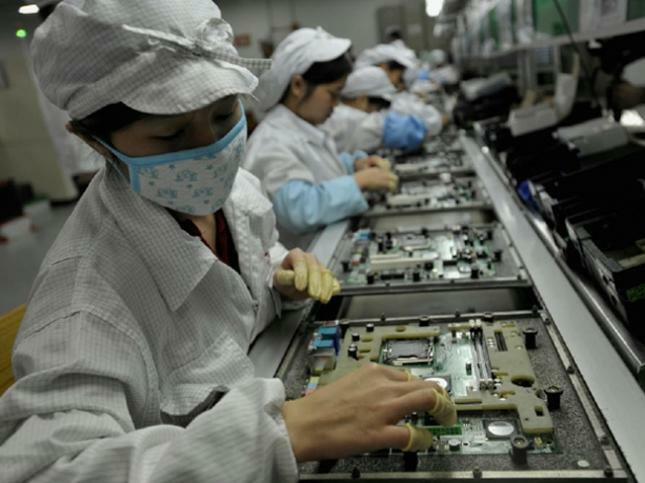 iPhone 5 production lines are currently “in a state of paralysis for the entire day.” A brawl between production line workers and quality control inspectors also resulted in the latter getting beaten up. Factory management is reportedly “turning their back on the issue.” China Labor Watch’s press release follows below. (New York) China Labor Watch (CLW) announced that at 1:00PM on October 5 (Beijing time), a strike occurred at Foxconn’s Zhengzhou factory that, according to workers, involved three to four thousand production workers. In addition to demanding that workers work during the holiday, Foxconn raised overly strict demands on product quality without providing worker training for the corresponding skills. This led to workers turning out products that did not meet standards and ultimately put a tremendous amount of pressure on workers. Additionally, quality control inspectors fell into to conflicts with workers and were beat up multiple times by workers. Factory management turned a deaf ear to complaints about these conflicts and took no corrective measures. The result of both of these circumstances was a widespread work stoppage on the factory floor among workers and inspectors. The majority of workers who participated in this strike were workers from the OQC (onsite quality control) line. According to workers, multiple iPhone 5 production lines from various factory buildings were in a state of paralysis for the entire day. It was reported that factory management and Apple, despite design defects, raised strict quality demands on workers, including indentations standards of 0.02mm and demands related to scratches on frames and back covers. With such demands, employees could not even turn out iPhones that met the standard. This led to a tremendous amount of pressure on workers. On top of this, they were not permitted to have a vacation during the holiday. This combination of factors led to the strike. That quality control inspectors would also strike is of no surprise. According to workers, there was a fight between workers and quality control inspectors in area K that led to the damage in inspection room CA, the injury of some people, and the hospitalization of others. After this, another similar incident occurred in area K, once again leading to quality control inspectors getting beat up. Yesterday, inspectors in area L received physical threats. When inspectors reported these issues to factory management, the management simply ignored and turned their back on the issue. For these reasons, all day and night shift inspectors carried out a work stoppage today that paralyzed the production lines. Founded in 2000, China Labor Watch is an independent not-for-profit organization. In the past ten years, CLW has collaborated with labor organizations and the media to conduct a series of in-depth assessments of factories in China that produce toys, bikes, shoes, furniture, clothing, and electronics for some of the largest companies. CLW’s New York office creates reports from these investigations, educates the international community on supply chain labor issues, and pressures corporations to improve conditions for workers.